Caregivers are some of the most important people in the world. They dedicate themselves to caring for someone else with their time, commitment, sacrifice, and compassion. Being a caregiver to someone else means they don’t always have the time to care for themselves. But everyone’s wellness and care are important, especially for those who need to be there for another person. Caregiving is an enormous task that can stretch people thin and make it difficult to carry out or even think about one’s own wellness. It’s no one’s fault – there is only so much time in the day and when the majority of that time is focused on someone else’s care, a caregiver’s own wellness and physical well-being are often just put on the back burner. The same is true of parenting/family roles and helping professions; others needs are simply put first, without question or expectation. Caregiving doesn’t necessarily mean that person has to do everything themselves either. Knowing when and how to ask for help is a great strength, and for caregivers there are resources that can help. Oftentimes these resources are geared towards those caring for someone elderly, but it’s these same types of contacts that can help those caring for disabled individuals too. Communication is vital in the caregiver role; being able to talk about what is needed or what’s currently going on is essential to maintaining balance and stability. One key element to caregiver support is respite; a period of rest and relief for those carrying out this role. It’s also a significant piece to wellness – taking a break to focus on one’s own needs and having the peace of mind to know that the person they care for is safe in that moment too. It’s not a selfish act by any means; it’s a necessity of life. You have to take care of yourself in order to be able to take care of someone else. Selflessness is an admirable quality but self-care is equally important. This month on the MS Conversations blog we’ll be talking about different aspects of wellness and its importance and impact on various parts of one’s life. With it being MS Awareness Month, it’s good to be aware of and shine light on your own well-being and state of wellness, because this can encapsulate many diverse pieces. One aspect of wellness I wanted to discuss is occupational wellness. Now usually when we hear the term ‘wellness’ we think of our bodies and the physical side of this concept, and while this is a significant part, it’s not the only piece of the puzzle. In talking about occupational wellness I realize that everyone’s situation is unique and the workforce may or may not be a current part of one’s day to day. 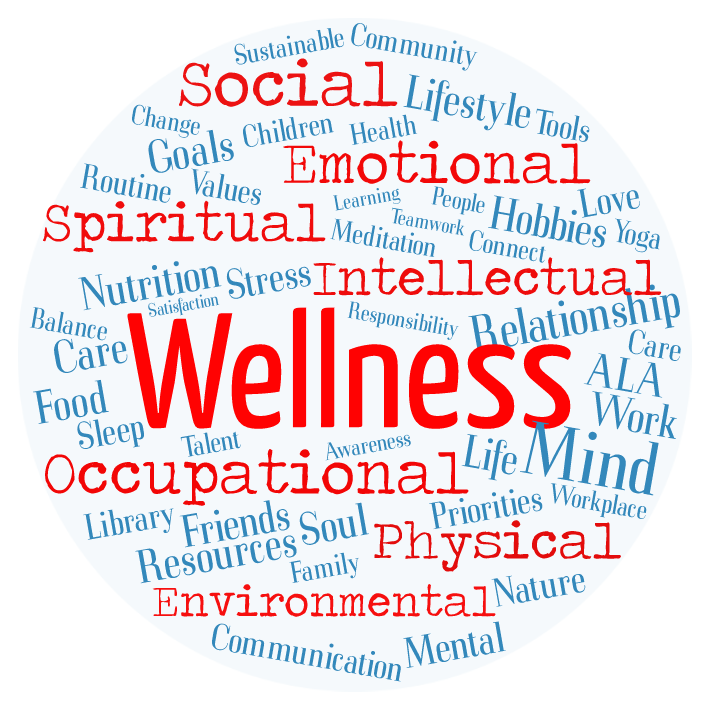 This is not to say that the elements of occupational wellness can’t be relevant and applied to different situations or encounters experienced by all. Some of the factors related to this piece of wellness are important to consider for any facet of life, again because it circles back to your overall state of wellness. Some basic principles of occupational wellness include satisfaction, motivation, leisure, balance, inspiration and accomplishment. No matter if you’re currently a part of the workforce or engaged in other types of activities and routines, these components are an integral part of daily life to try to acquire to help achieve wellness. Within the workforce it’s important to try to find work that you enjoy doing—that you’re passionate about and that keeps you interested and continuously learning. Being able to work well independently and with colleagues, and communicate often are essential pieces to this, in addition to being inspired by the work you do and wanting to constantly challenge yourself in it. Sometimes it’s easier said than done, but if you find something, whether it be in work, or another kind of activity or endeavor, make sure it’s something that means something to you. When you engage in a pursuit that has purpose for you and that you can get behind, that makes all the difference. So again, occupational wellness is just one piece of the puzzle, but it has multiple factors that are easily transferable to other aspects of life and overall well-being. Whatever it is you do – stay engaged, focused, and most of all, inspired.